The 2015 Wakeboard World Series is unlike anything wake sports has seen in the past including the largest payout ever offered, a women’s World Series, and includes the Nautique Wake Series, Malibu Evolution Pro Series, WWA Nationals, and the WWA Wakeboard World Championships. The Wakeboard World Series will offer the largest payout the sport has seen in its 26-year history with a total of $425,000 to be handed out to the men and women throughout the series. This increase is just one of many avenues that the WWA have stepped up to further legitimize wakeboarding along with an increased focus on attracting media, sponsors, and consumers. "The WWA is really raising the bar for 2015," said Rockstar Energy athlete Rusty Malinoski. "I’m excited to participate in the full World Series and I am aiming to be No.1 in the WWA World Rankings. The Wakeboard World Series is the largest it's been in years and with the increase in prize money, returning to Tokyo, and having the WWA World Championships in Portugal for the first time, this is set to be a breakthrough year." 2015 marks the first time that women will compete in the World Series. Women’s wakeboarding continues to elevate every year and now has it’s own place on the world stage. The WWA continues to be committed to all wake sports from grassroots events through to Pro. "I couldn't be more excited about the WWA bringing women to the Wakeboard World Series," said Nautique team rider Meagan Ethell. "It's huge for women's wakeboarding and it puts us onto a new level with the best riders in the sport. This year is going to be awesome." This year’s Wakeboard World Series is the largest World Series in recent years, making it the only true global wakeboard series. 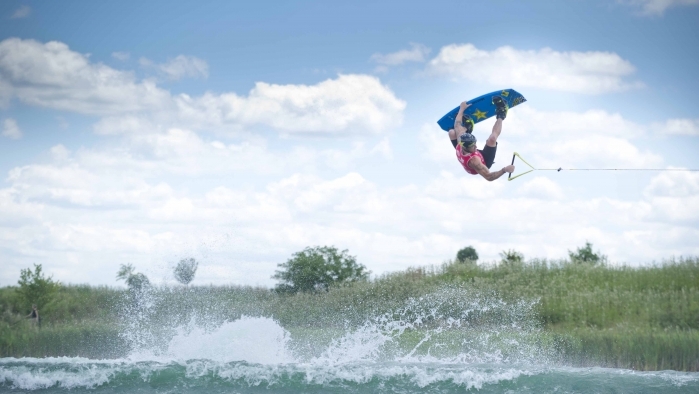 The 2015 Wakeboard World Series will travel to four rounds within the United States as well as Mexico, Brazil, Canada, a return to Japan, and for the first time, the WWA World Championships will be held in Portugal.